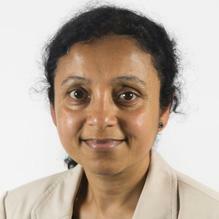 Dr Arpita Chakraborty is a Consultant Psychiatrist currently working for the Cardiff & Vale Local University Health Board. She has a medical degree, Masters in Law (Legal Aspects of Medical Practice), CCT in Old Age Psychiatry and is a Member of both the Royal College of Psychiatrists and the Royal College of Physicians. Dr Chakraborty did her postgraduate training in Psychiatry in South West London followed by Specialist Psychiatric training in Wales deanery and has over 12 years’ experience as a Psychiatrist, working across the NHS Mental Health Services in South Wales in Older Adult Psychiatry. A specialist in psychiatric presentations in adults and older adults, Dr Chakraborty has particular interest and expertise in the assessment and diagnosis disorders including Alzheimer’s dementia, vascular dementia, Fronto temporal dementia, Lewy Body dementia and Parkinson’s disease dementia. She also has extensive experience in the pharmacological management of behavioural and psychological symptoms of dementia and has publication in peer-reviewed journal in this field. She offers a range of therapeutic methods, including Cognitive Behavioural Therapy and other forms of treatment. Dr Chakraborty was lovely, very thorough and honest, and her report was really detailed and useful. Dr Charkraborty was very professional and so kind in the way she spoke with us. Even before receiving the medication there was an improvement in mum's mood. Dr Chakraborty is also a highly competent Section 12(2) Approved medico legal professional and an Approved Clinician with a Masters in the Legal Aspects of Medical Practice and excellent previous experience in the full range of medico legal requirements. These include completing complex capacity assessments for the Court of Protection and lasting power of attorney, testamentary and executor of will, providing reports in civil litigations cases, and has acted as Deprivation of Liberty Safeguards (DOLS) Assessor. Dr Chakraborty is described by her colleagues as a competent and conscientious Doctor, with a hard-working mindset and sound clinical decision-making. Clinical Partners are delighted to welcome her to our South West team. Alice Mildred and Jack Margetts Scholarship Award for Outstanding Care of the Older Person for presentation of work on new service development (Proactive Inreach Service) in community at the Nursing & Midwifery Conference, Aneurin Bevan Health Board on 8 July 2010. You don't need a GP referral to see Dr Arpita Chakraborty.